Soy protein is considered to be the closest vegetable protein that resembles meat protein. Soy protein powder is a terrific substitute for animal protein because of its complete amino acid profile. It contains all of the amino acids that are essential to human nutrition. It boasts of a 1.0 PDCAAS (a measure or protein quality) score the highest attainable mark. Aside from its complete amino acid profile, it also has been proven to reduce cholesterol in many clinical studies. It also helps reduce the risk of certain cardiovascular diseases. The United States' Food and Drug Administration (FDA) concluded in 1999 that consuming 25 grams of soy protein daily as part of a diet low in saturated fat and cholesterol may reduce the risk of heart disease. Some types of soy protein have also shown to be effective for athletes. It is regarded as a healthy form of protein which can also help relieve menopausal symptoms in women. 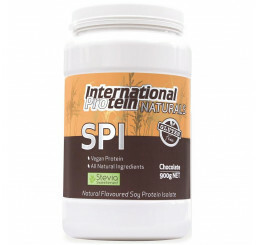 Certain soy protein isolate products are considered complete by protein quality rating standards. 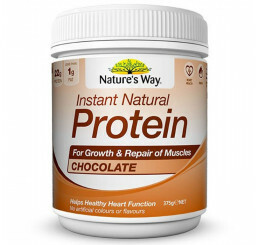 Some scientific studies using this kind of soy protein powder supplement with male and female athletes resulted in improved muscle mass, decreased body fat and improved performance, metabolism and overall health. Soy protein is highly recommended for people who cannot consume other types of protein due to certain reasons such as vegan practices, allergies or lactose intolerance.